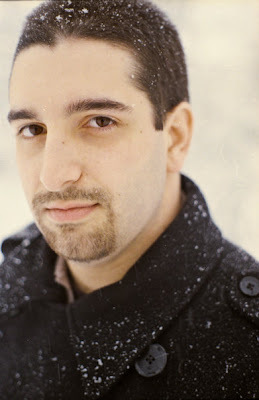 It is my pleasure to introduce the new photographer for The Front View for fiction, Christopher Barrio. After graduating college in 2009 with a BFA in Film/Video production, he now works full time as an Instructional Technology Specialist. Christopher is a talented film maker and he is part of a team of young professionals who’ve formed a video production company called Collective 47 Productions. They have several projects which they are producing at this moment and their futures are very promising. A native of Long Island, from Valley Stream, New York, Chris adds a youthful, vibrant, and modern style to his films and videos. Using photography, he creates bold images which accent the fiction at The Front View. Chris is dedicated and hardworking, and brings his skills and distinctive ideas to the forefront for each assignment. I am proud to welcome Christopher to the crew, at The View From Here. Welcome, Chris. Same as Jane: looking forward to seeing your work. Thank you Jane and Paul. I look forward to working with you and all of the people who make The View From Here Magazine possible. Hi Chris, welcome aboard! Your work for the past few months has been terrific, and I look forward to our future projects. Welcome to tvfh Chris! - such an international bunch of collaborators. if what would our grouping name be, if not 'bunch'? a hoard? a parliament? is that penguins? Thank you Patricia and Grace, for your warm welcomes. I am very happy to be part of The Crew and to share my talents. Grace I like hoard the best.